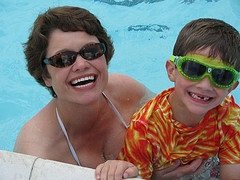 As a mother, nothing comes close to my primitive urge as a mom to protect my child. So, I thought it ironic to visit a playground in NC this week with a warning sign of alligators nearby. This sign hit me with the realization that while we can provide our children with the resources to defend themselves and make good choices, ultimately we have to let them go out there to frolic amongst the good guys and the gators. This includes opening their eyes to not-so-nice things that go on in the world through media and books. Especially books. They can open up our child’s eyes to what happened in history, just and unjust. Because of books read with my son, we’ve had many open dialogues about slavery, civil rights, oppressive religions, women earning the right to vote, the Holocaust and terrorism. When my son was six we got a wonderful book called “The Man Who Walked Between the Towers” by Mordicai Gerstein. In 1974, French aerialist Philippe Petit threw a tightrope between the two towers of the World Trade Center and spent an hour walking, dancing, and performing high-wire tricks a quarter mile in the sky. This book paved the way for us to talk in depth about the twin towers and terrorism. My son said at the time he hoped that bad man would be caught and someday, the towers would be rebuilt. One out of two so far now. I could now report accutane that the bad man had been caught and killed. My son wanted to know how he was found and killed, what happened to his children, his wives, and if this meant this kind of thing would never happen again. I wish. But, I hope in having these discussions (as I hope parents are everywhere) that we are changing the world for the better – one child at a time. Books. They do open us up to new worlds but also our world to our children. They help us as parents relate the bad and good that have happened throughout history and now to our children. They help us show the poetry in our world events and help us feel sad, joyous, compassionate or outraged. Keep the hope alive in you and your children. Loved this post! 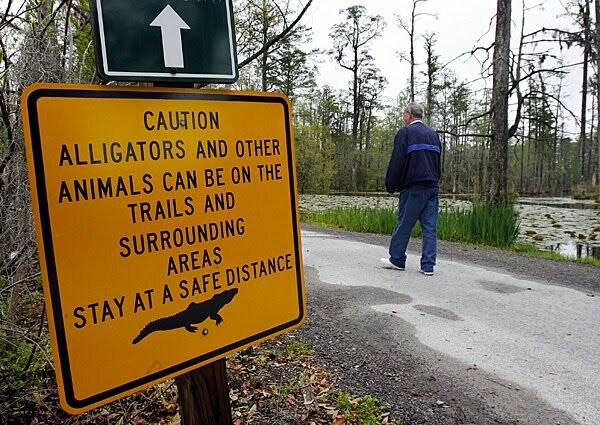 It’s fun to see how regular events in the world can have larger meanings; glad to know I don’t have to see an alligator sign in my neck of the woods! Regardless, I relate to the desire for books to be that solid rock of groundedness in this crazy world. A fiction book can share more reality than the world around us can. How wonderful to share books with our children—and the life lessons within them. P.S. Happy Momma’s Day to you! Lisa, thanks for your nice post! yes, glad we have no gators in PA here for us. Hope your mother’s day was special! Thanks so much for commenting – you are so fun! I just read this, Donna, even though it’s months later. Sweet!